17 in ‘17: Coastal Highlights from a Landmark Year! 2017 has been a banner year for coastal restoration in Louisiana! As we turn the page on this year, now is time to reflect and celebrate these successes along with the many organizations, volunteers, community members and public officials that made them possible. Let’s look back on 17 coastal highlights of 2017 from Restore the Mississippi River Delta, our partner organizations and others working to restore Louisiana’s coast. Starting the year off right, we unveiled our brand new website in January 2017! Since launch, we’ve provided information to over 70,000 users from all 50 states and 164 countries. We launched the Delta Dispatches weekly radio show and podcast, with over 30 episodes and more than 5,000 downloads to date discussing Louisiana’s coast, its people, wildlife and jobs, and why restoring it matters. We released our new 2017 Coastal Master Plan Priority Projects report, along with an updated online map, to highlight the restoration projects crucial to building and maintaining land in Louisiana – and to get you involved in the fight to construct these projects sooner rather than later. Environmental Defense Fund, together with Louisiana State University, released a report highlighting the regional economic costs of land loss – as much as $3.6 billion in homes, businesses and other infrastructure over the next 50 years – and the economic benefits of implementing the Master Plan. Restoration in action at the Caminada Headlands. In 2017, Audubon Louisiana recruited over 70 volunteers to complete over 750 hours of service to protect and monitor bird populations across Louisiana’s coast, particularly during nesting and migratory seasons. 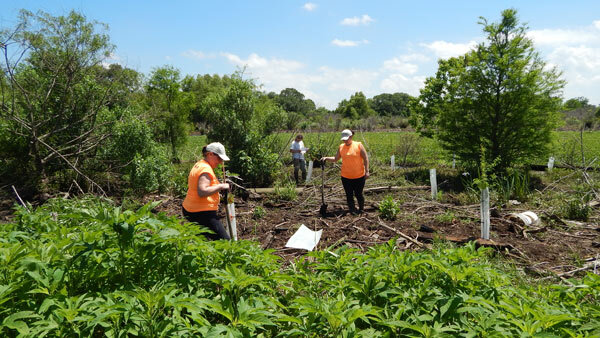 Coalition to Restore Coastal Louisiana continued its long running Habitat Restoration Program in 2017, with 549 volunteers spending nearly 5,000 hours in Louisiana’s coastal forests, marshes, and beaches planting more than 91,000 native plants to help restore and protect our wetlands. Through numerous volunteer events, Lake Pontchartrain Basin Foundation engaged volunteers to plant 9,000 trees and remove over 2,000 derelict crab traps from Louisiana waterways in 2017. Volunteers planting trees at a coastal ridge restoration project. 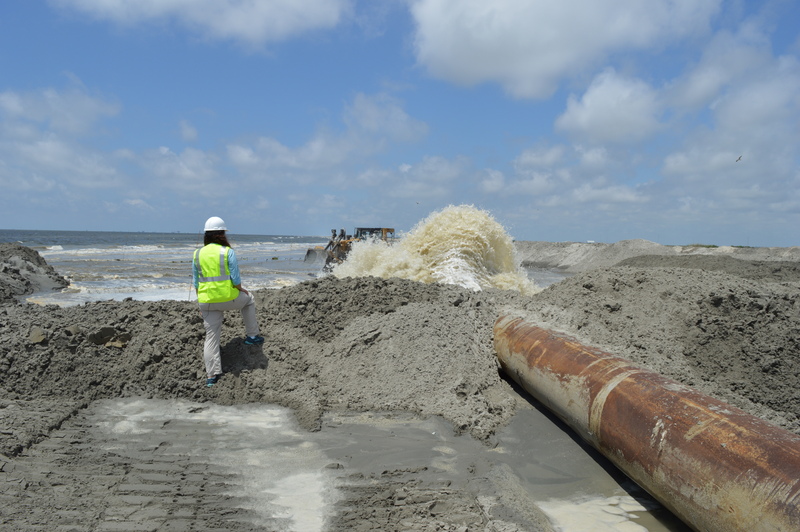 In 2017, Louisiana’s Coastal Protection and Restoration Authority (CPRA) made significant progress on 20 Master Plan projects, most of which are our Priority Projects, including completion of the state’s largest ever restoration project – restoring 13 miles of shoreline at the Caminada Headlands and Barrier Islands. More than 100 businesses and organizations from across the state signed onto newspaper ads that ran across the state in support of the Coastal Master Plan and coastal restoration. Through our interfaith outreach, over 30 faith leaders signed a letter to CPRA in support of the 2017 Master Plan. #OurCoast campaign launched in support of the Master Plan, highlighting individuals’ experiences with Louisiana’s coast through blogs, videos and pictures. We conducted two rounds of statewide polling showing that the majority of Louisianians view coastal land loss as a crisis and overwhelming majority support the 2017 Coastal Master Plan. Cook-off for the Coast: This first annual event included a wild boar cooking competition – an invasive species that is detrimental to coastal wetlands, cooking demonstrations highlighting coastal-friendly seafood and a silent auction; together raising more than $4,400 for the St. Bernard Wetlands Foundation in support of tree planting to help reduce impacts from storm surge and flooding, improve water quality and create habitat for fish and wildlife. Concert for the Coast: To celebrate the culture that Louisiana’s coast supports and to raise awareness to the need to restore our coast and support the Coastal Master Plan, we held a concert and rally with some of the best musicians, performers and coastal advocates our state has to offer! Eat Alligator, Restore the Coast: We held an alligator cooking demonstration by Top Chef season 13 Fan Favorite, Louisiana native and longtime restoration supporter, Chef Isaac Toups, highlighting the conservation success story of Louisiana’s flourishing alligator industry and this mainstay of Cajun and Creole cuisine. NEPA workshops: Along with partner organizations, we organized and hosted workshops for coastal residents to learn about the federal National Environmental Policy Act (NEPA) Environmental Impact Statement (EIS) process for restoration projects, including assistance drafting public comments. Best of Bycatch: Along with partner organizations, we hosted an Asian Carp cooking competition with local chefs to highlight uses for this invasive species and raise awareness for coastal restoration. 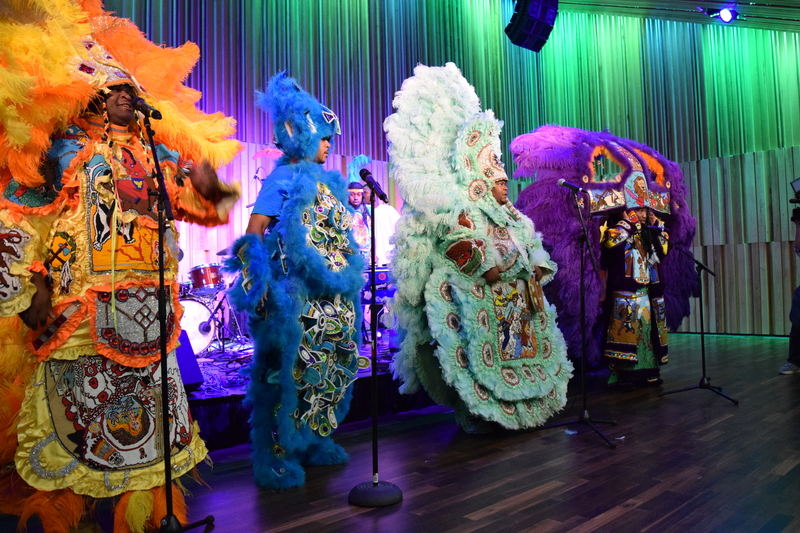 The Mardi Gras Indians perform at Concert for the Coast. 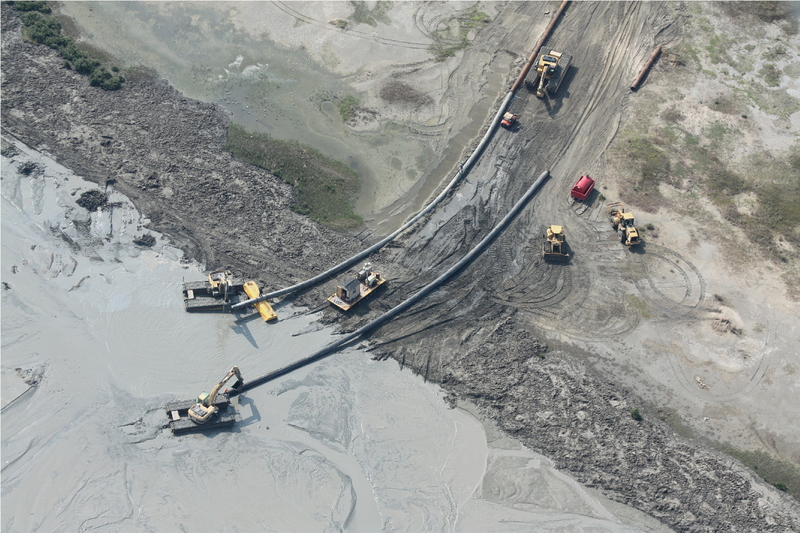 In addition to these outstanding successes, we were featured in over 350 news stories at the state and national levels, our Facebook posts were shared 35,443 of times with 555,624 total engagements to our page, we led over 30 tours and flyovers of impacted areas and future restoration project sites, and we engaged over 2000 people in direct outreach. Thank you for your continued support and engagement throughout this year. Even with all of these accomplishments – and more! — there is still much more work to do. We look forward to building on this progress and continuing the fight to restore coastal Louisiana in 2018. If you’d like to join us in these efforts, please sign up here!